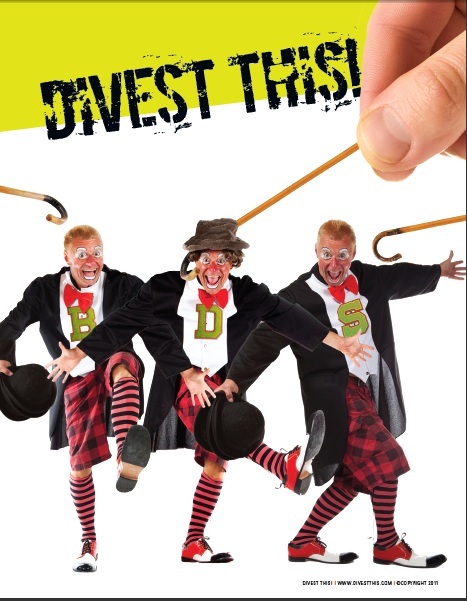 A couple of years back, I took enough interest in the Mennonite Church’s flirtation with divestment to pen this piece regarding some back-and-forth I had in the comments section of an editorial in a Mennonite newsletter regarding the subject. The reason this church divestment debate didn’t generate the kind of obsession I developed over the Presbyterians’ decade-long fight over divestment is that (1) I never realized Mennonites still existed until this controversy hit my BDS radar; and (2) decisions by a tiny sect (there are currently between 75,000-80,000 Mennonites in the US – or a quarter of the number of number of Jews just in Massachusetts) don’t pack the same propaganda punch as votes by well-established (if also declining) churches whose members number in the millions. The church’s historic eschewal of violence likely made them a tasty morsel for a propaganda campaign like BDS desperate to portray itself as non-violent, despite the BDSers flipping between refusing to renounce and actively encouraging violence within the wider anti-Israel “movement.” So while it’s clear what the boycotters get out of owning the Mennonite “brand,” it’s still not particularly understandable what the Mennonites get out of such a deal. Their desperation to join the BDS project, whatever the cost, is apparent in the “Third Way” concept they came up with in the two years between 2015 (when church support for BDS was tabled based on further contemplation) and 2017 when divestment was voted in nearly unanimously. This “Third Way” consisted of the church balancing its divestment decisions targeting Israel (and Israel alone) for financial punishment with a commitment to devote time and energy confronting the Church’s own history with regard to anti-Semitism, particularly, as it relates to the Holocaust. Now I will admit that the Mennonite role in the attempted annihilation of every Jew in the world was unknown to me, but apparently church history during World War II does lend itself to some soul searching. Personally, I have no interest in tarring today’s Mennonites with things their forefathers said and did, but if current member want to spend some time probing those issues, more power to them. Trouble is, what they claim to be a long-overdue confrontation with their own past (1) only began when they started talking about joining a project (BDS) dedicated to assaulting the most important Jewish project of the last century (the creation of the Jewish nation); (2) established as a “Third Way” the equivalence between the behavior of that Jewish nation and the murderous anti-Semitism of the last century; and (3) refused to even acknowledge any role for contemporary anti-Semitism in the conflict they’ve decided to threw themselves into. A church that has supposedly dedicated years to contemplating the problem of anti-Jewish bigotry might, for example, notice that they are allying with traffickers in Jew-hating rhetoric as incendiary as those they condemn themselves for ignoring decades ago. To grasp such an obvious fact does not even require them to wade into the quagmire of defining where anti-Zionism ends and anti-Semitism begins. It just requires them to pay attention to the fact that Mein Kampf and the Protocols of Zion are best sellers and staples of political discourse among the very societies today’s Mennonites are dedicating their entire historical reputation to support. The rhetorical techniques to avoid these matters I saw in play during my brief foray into discussion with church members are always available to Mennonites to justify their morally unjustifiable behavior, as are the usual tricks of claiming Jewish support from marginal groups like Jewish Voice for Peace to “prove” divided Jewish attitudes towards their project. But a genuinely moral movement dedicated to grappling with tough issues before lending their reputation for justice and non-violence to those actively supporting one side in a violent conflict would not rely on such flimsy devices to avoid the moral conversation they simultaneously claim to crave. Once again, the drug of choice that inevitably leads to such intellectual and moral rot goes under the name of BDS.